This article originally appeared in the Winter 2016 issue of AMDA Magazine. View the full issue. Alexander Hamilton: 18th century politician, founding father, freestyle rapper. For the first time, I’m thinkin’ past tomorrow! Wiping the dust off American history books, Lin-Manuel Miranda (In the Heights) created his new musical Hamilton, which transitioned from its sold-out Off-Broadway run to appear before Broadway audiences for the first time in August. 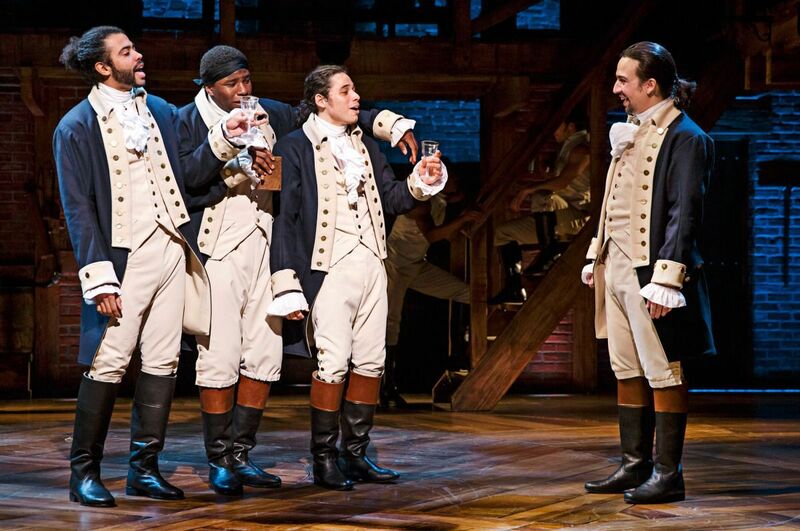 With its hip-hop soundtrack and multiethnic cast, Hamilton challenges the canonical imagery of America’s founding fathers: Gone are the old men in powdered wigs, replaced with young revolutionaries mixing cabinet meetings with rap battles, historic speeches with modern slang. Months later, Hamilton has become a musical sensation. 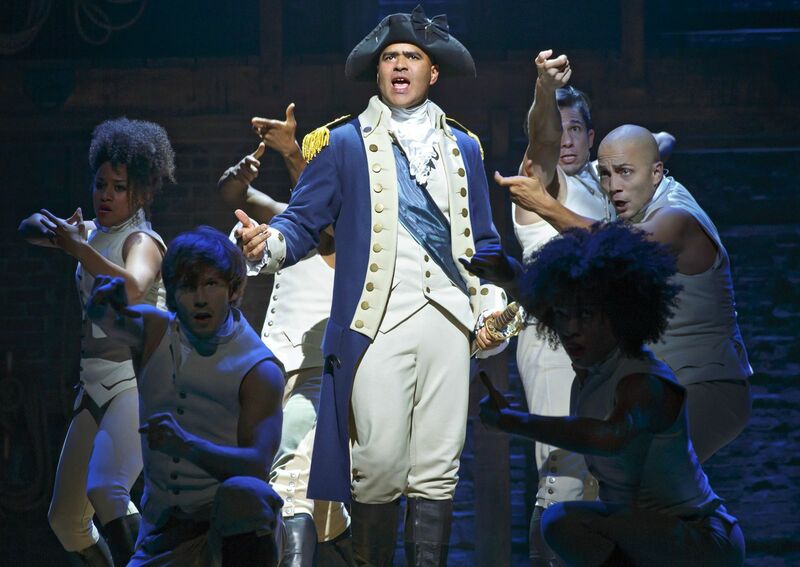 With cast interviews and articles appearing in every major news outlet across the nation, critics have lauded Hamilton as the “most exciting and significant musical of the decade” (Wall Street Journal) and the “best Broadway musical in years” (Billboard). Tickets are nearly sold out a year in advance, with past audience members including such luminaries as President Barack Obama, the Supreme Court justices, Sara Bareilles, Madonna and Bill Clinton. 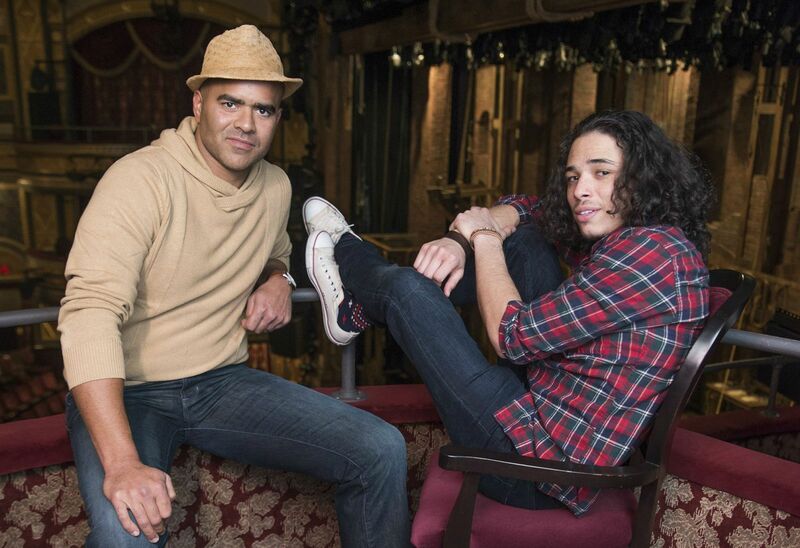 The production stars AMDA alumni Christopher Jackson (George Washington) and Anthony Ramos (John Laurens/Philip Hamilton), both of whom originated their roles in the world premiere at New York City’s Public Theater. While Hamilton marks Ramos’ Broadway debut, Emmy-winning composer Jackson is a Broadway veteran, with such titles under his belt as The Lion King (Simba), Memphis (Delray), and his award-winning originating performance for In the Heights (Benny). And therein lies the magic of Hamilton: not what “sticks out” to the audience but rather what doesn’t. As viewers are drawn deeper and deeper into the allure of Miranda’s charismatic soundtrack, it seems perfectly natural for ethnic actors to play white characters, for George Washington to spit rhymes as the fate of America hangs in the balance. It is the law of realism in any medium or genre: That which is treated as ordinary, becomes so. The result? A musical that gives cross-racial performance the attention it deserves—that is to say, none, allowing audiences to absorb new perspectives and genres without prejudice. 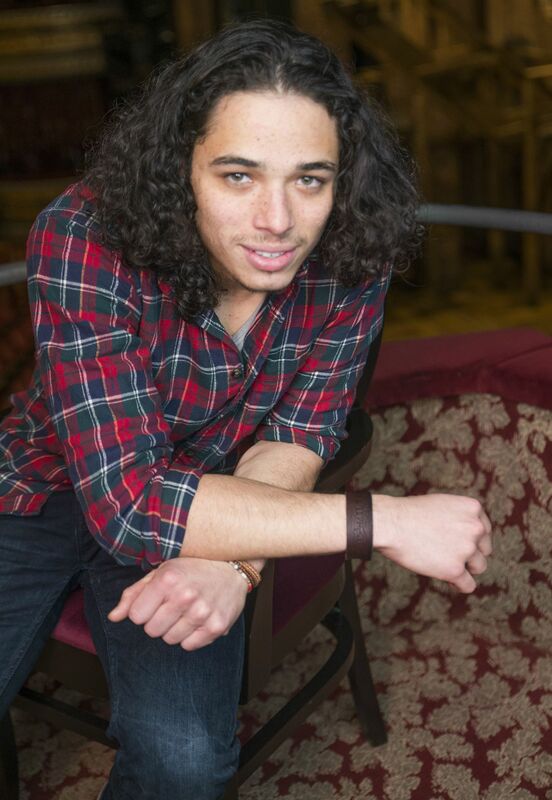 Jackson is no stranger to Miranda’s work: The two performed together in the improv hip-hop group Freestyle Love Supreme, and Miranda worked with Jackson in creating the role of Benny for In the Heights. “Lin certainly has been writing to my strengths for years,” Jackson says, adding that Miranda’s personal history with hip-hop and the inherent power of the genre led to Hamilton’s powerhouse soundtrack. “Hip-hop is such an incredible tool to use to tell history, because you can cram so much information all at once in a condensed amount of time,” notes Ramos. As Jackson points out, the founding fathers were merely that: fathers and sons with fears, dreams and everyday concerns. The power of Hamilton lies in the disinterest of its own novelty, bringing a defining moment of American history back down to earth. Miranda’s characters remind audiences that the founding fathers—often idolized to the point of deification—were at the end of the day flawed mortal men. In fact, Alexander Hamilton’s story hits close to home for modern youths growing up in poor communities. Inquiries to purchase Hamilton tickets.